The Galaxy Nexus was announced earlier today in Hong Kong by Samsung and Google. The first surprise is that it will not have "Prime" in its name. We should be used to this as most phones are given a code name during the development phase. Too bad, because I liked the name Nexus Prime. 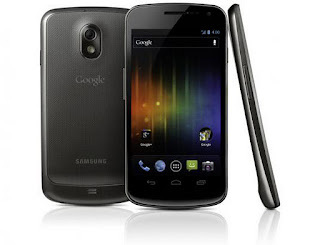 Also the first "Google Phone" was the Nexus One, followed by the Nexus S, so putting Nexus after Galaxy does not flow. Fortunately, this is the only strike against the phone. The Galaxy Nexus hardware looks amazing. With a 1.2 MHz dual-core processor and 1 GB of RAM this phone will not lag. As for the camera, 5 MP is slightly off-putting, however... Remember that megapixels are a horrible way to establish the quality of a camera. For instance the 5 MP iPhone 4 camera is still the second best on a phone (behind the iPhone 4S'), beating out the armada of Android 8.0 MP cameras. The Galaxy Nexus camera should be closer the quality of the iPhone cameras and better than any 8 MP Android camera available on the market. The best three physical features of the Galaxy Nexus are the design, screen, and LTE capability. The phone is super light! The phone is super thin! And to add to the elegance, the Galaxy Nexus only has two buttons. The screen has the best resolution of any phone at 1280 x 720, full HD, with a screen size of 4.65 inches. The phone is LTE capable meaning, you can download at ridiculous speeds, no buffering for movies or video chat, get songs in seconds, etc.. And since we use our phones mostly for the internet, significantly faster download speeds are important. With the mind-blowing specs you would think that was enough to sell someone on the phone, but the best part of the Galaxy Nexus is the operating system. It is the first Android phone with Android 4.0 aka "Ice Cream Sandwich". What is Ice Cream Sandwich? Ice Cream Sandwich is a more user friendly operating system with the intention of making Android phone users not just need their phones, but love them. It focuses on beautiful design with simplicity. Some new features can be seen in the video above like easily swiping away programs to stop them from running. There is a new feature to unlock your phone using facial recognition. Cool! But user interface is hard to describe, it is something you have to try out for yourself. Just like trying to explain to someone why the iPhone operating system works so well and what it does. Bottom-line early impression: the Galaxy Nexus is the must have phone if you are on an LTE carrier. For those of you deciding between the Galaxy Nexus and iPhone 4S on a non-LTE carrier, you have a tough choice. Good luck.